Owners of the Aston Martin Valkyrie already know they’re due to receive a truly exceptional car, but the marque’s personalisation service ‘Q by Aston Martin’ is set to realise the unique dreams and desires of this exclusive collection. Born of the partnership between Aston Martin and Red Bull Advanced Technologies, the Aston Martin Valkyrie is a real-life expression of the uncompromising pursuit of performance. As such, it is fitting that this limited run of 150 road-going hypercars can now be further optimised with the AMR Track Performance Pack. 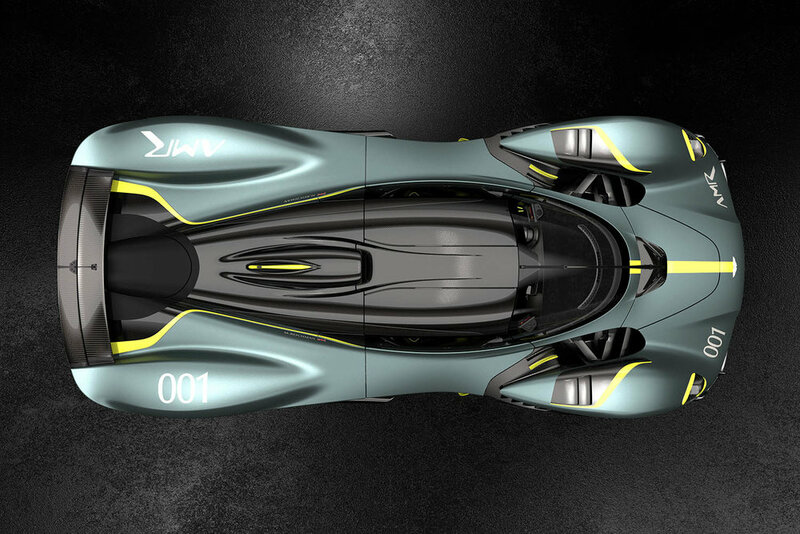 The pack’s track-only components - which can be interchanged with the existing road-legal parts - are set to deliver approximately 8% quicker lap times according to Aston Martin, on top of the standard Valkyrie. The AMR pack features a new aerodynamic front clam delivering greater downforce and efficiency, a second set of all other exterior body panels, lightweight titanium brakes, track-focused suspension and a matte black magnesium performance wheel and carbon-fibre aero-disk set. Customers can also include a suite of personalised pit garage and race suit accessory options to their package, providing owners with the ultimate track day and hypercar ownership experience. Customers choosing the AMR specification are also able to choose between three spectacular AMR livery designs or their own unique finish, which can be tailored using ‘Q by Aston Martin – Commission’, Aston Martin’s bespoke VIP customisation service. For those choosing to keep their Valkyrie on the road, the options are boundless. Four beautiful Designer Specification themes, featured above, are available for those who want their Valkyrie to stay close to the designer’s vision, featuring exclusive Valkyrie colours including Slipstream Green, Liquid Petroleum, Ethanol Silver and Maximum Orange. For customers who have something special in mind, there is the Ultimate Personalisation programme, which invites owners to work with the Aston Martin Design team to refine their specification, enhanced even further by ‘Q by Aston Martin’. 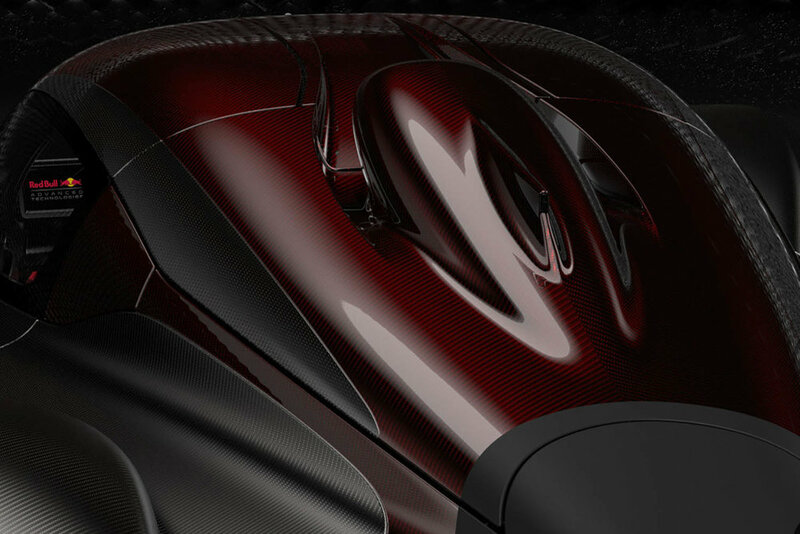 Inside, the minimalist ergonomics of the cockpit are clothed in materials as befits a hypercar. 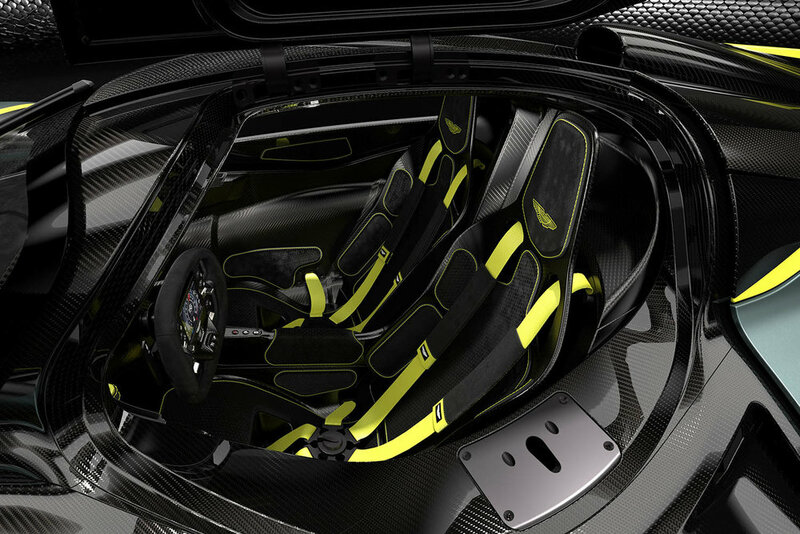 A wide choice of alcantara colours, patterns and finishes are available for the seats, along with six bold choices of colour for the seat harness, which complements the external livery and contrasts with the choice of hardware presented in carbon fibre. With a full range of inspirational Q specifications chosen by the Aston Martin Design team and even more options to come, the Valkyrie has to be one of the world’s most customisable cars.